He did look around in Mirza-Charle as if in farewell, and in a disgusting, whiny voice he squeaked: “He sees mountains and forests, clouds and skies, but he doesn't see what's right under his nose”. The world was created by God, He is the Creator. The goal of God is Man (as) Creator. And let the cats not take offense at us. Man with a capital M in the third thesis is a complex concept, which is still far away from us. We will mainly talk about the 8th Day, but to understand, what it is, you should imagine a global picture, where this Day is only a part. The pass from the World's creation to Man (as) Creator is divided into ten big stages. We call every of those stages “the Day of Creation”. In the First Chapter of the Torah (Bible) the first 6 stages are described as 6 Days of Creation. It is our past. Day 7 is the existing reality, in which mankind has been developing up until now. The task of the 7th Day is to form the Ethical Man, Adam Enoshi (אדם אנושי). The man who has learned to live not according to the laws of biology group of animals, but according to the rules worthy of the rational being created by the Lord in the image and likeness of God. Days 8 and 9 are the stages of the future world's development. And, finally, Day 10 is the result — Man (as) Creator. The 8th Day is similar to an octave in music of the 1st Day, but on a higher level... Israel is the eighth work of creation, joining the seven works of the creation of the world. Moreover, Shabbat is a sign and reminder of the Creator, and Israel is the herald of Shabbos, bearing its message to all of mankind. Israel, as the “eighth”, existing for the “seventh”. The Holy Fathers of the Church considered the Seventh “Day” of the world to be continuing even at the present time, and that after the resurrection of the dead there will begin the eternal Eighth Day, that is, eternal future life. Thus St. John of Damascus (VIII century) writes concerning this: “This world is said to have seven ages, that is to say, from the creation of heaven and earth until the general consummation and resurrection of men. For, while there is a particular consummation, which is the death of each individual, there is also a general and final consummation which will come when the general resurrection of men takes place. The eighth age is that which is to come”. Nature never sleeps. The process of life never stands still. The creation has not come to an end. The Bible says that God created man on the sixth day and rested, but each of those days was many millions of years long. That day of rest must have been a short one. Man is not an end but a beginning. We are at the beginning of the second week. We are the children of the eighth day. The purpose of the 8th Day of Creation, unlike of the 7th, is to form One Ethical Humanity, Enoshut Enoshit (אנושות אנושית). Let's formulate what meaning we put into the concept of “ethics”, because it's not exactly the meaning that can be found in dictionaries and encyclopedias. In speaking of ethics, we have in mind a very simple thing: ethics is a system of values and criteria, value scale enabling us to define what is good and what is bad. Thus, by definition, “good” is everything that corresponds to the Creator's plan. And vice versa, “bad” is everything that is contrary to this plan. Since the God’s plan is the man as Creator, then everything that brings us and the world closer to this goal is good (ethically) and, therefore, everything that moves us away from it — is bad (unethically). Do not do unto others what you don't want others to do unto you. Create the conditions for the development for yourself and the others! It is ethical to take part in creating the world according to Lord's plan. It is unethical to contribute to world's destruction. It is also unethical to do nothing! Inaction is considered as a lack of ethics or immorality. Of course, on the 8th Day, as well as on the 7th, there are basic laws defining the rules, rights, duties and responsibilities of all participants in the process. But on the 8th Day, they are the same for all mankind! The laws of the 7th Day regulate the relations between people, countries and tribes. The laws of the 8th Day regulate the relations between Man and Man, Man and God, Man and World. Man — God — World. However, the power of Man over the World is exercised according to different principles. Day 7: Divide and rule over the people and the world. Day 8: Divide into functions and rule over the professions. The conflicts are also different. The main conflict of the 7th Day is different goals. The main conflict of the 8th Day is different ways of achieving a common goal. Me — People — the World — God. These are the main features, which are formally defining the 8th Day of Creation. Speaking informally, ...the Eighth Day is the ideal, that poets, prophets and philosophers of all nations, all religions and ideologies of our world, of our Seventh Day, have been dreaming of since the emergence of humankind. It is a world where there are no individual righteous men but all the people behave in a way befitting a man made in the image and likeness of God. It is a world where everyone understands his life purpose, where there is no “life for the sake of survival”. This era will make war impossible, not because of the absence of technical means, but because no one would have ever thought it, it is just wild and unthinkable as it's hard to imagine that a modern man will kill and eat his neighbor for the sake of a good dinner. This is the development stage where vital human problems are solved, where there is no sense and need to toil from morning till night to earn a crust of bread, and it is released time for other work, for which a man was created. The flow of time is a flow in the ocean of time. This is a very complex concept that is difficult to explain. But it has a deep meaning. We don't yet know how to take control of our time, and this means that the events in each flow of time are developing within their time frame, at their own pace. Until the 8th Day this term is rather more understandable, since all the flows of time were consecutive. One flow of time ended and the other began. The current period of the 7th Day of Creation, the last sub-stage of this Day, which began 2000 years ago, is the flow of time Metakh (מתח), which means: “tension”, “pressure” (derived from the Hebrew verb “Limtoah” — to stretch, to spread). But at the end of the 7th Day 3 flows come out of the Metakh and each of them flows into the 8th Day by its own streamflow. And these flow coexist in parallel. Terms כים, רתם and דטן bear no relationship to color names, these are just terms. Why is a cat called a cat? For this reason the flow “Kim” is called “Kim”. It might be more difficult a question regarding colors. 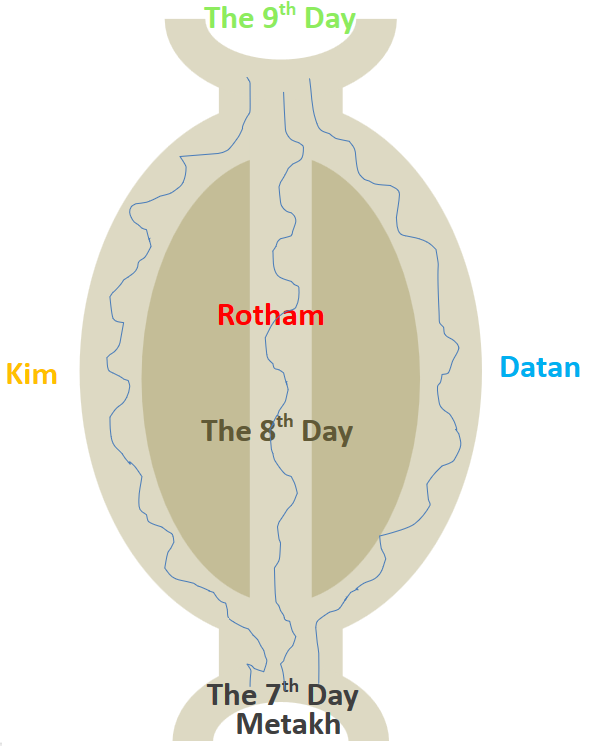 Why is Rotham red, Kim yellow and Datan blue? It has its root causes, but we have no opportunity for going into them in this article. We offer to consider these colors as conditional, something like quarks in nuclear physics are called red, yellow and blue (although they are not colored and can not be by definition). Everybody in the state of transition from the 7th Day of Creation into the 8th faces a choice: which of the three streams of the time he transfers to. These flows are really different. Rotham dominant is a co-creation with Lord. Kim dominant is a co-creation with the World. Datan dominant is a co-creation with other Man. Everything that improves mutual relations with God, the comprehension of signs is good. On the other hand, everything that worsens them is bad. In Rotham, in the first place, man turns to God in case of problem, i.e., he looks for the answer “in the vertical direction” Man — God and only after that he asks another man or the nature for an advice. Everything that improves mutual relations with the World is good. On the other hand, everything that worsens them is bad. In Kim, in the first place, man asks the world around him, nature and its energies in case of problem, i.e., he looks for the answer “in the sphere” Man — World and only after that he asks God or another man for an advice. Everything that improves mutual relations between people, between the man and the society is good. On the other hand, everything that worsens them is bad. In “Datan”, in the first place, man asks another man, the society of his like in case of problem, i.e., he looks for the answer “in the horizontal direction” Man — Man and only after that he asks God or the World for an advice. Notice that all three flows have powerful potential and rich prehistory. These three world views or even “super” world views, three global approaches do exist and are implemented in the very serious schools and large people's communities. Rotham grows from monotheistic world view, based on social, ethical and philosophical systems, created in monotheistic model. Kim corresponds to spiritual and energetic practices, self-perfection of man — systems, developed in Oriental world. Datan is the dream and the goal of humanistic and secular mankind, based on science, technology and awareness of absolute importance of every individual. All these 3 flows, while entering the 8th Day, will absorb all most constructive things, which are existing now. The rest will be left in Metakh. The flow Metakh is gradually “folding up” and becomes irrelevant. The way of their reunion is very interesting and corresponds to the development of “spectral thinking” of the humanity on the 8th Day, but this topic lies outside the scope of the present article. We hope you have already become interested in the 8th Day of Creation and you would like to be there. Otherwise, it doesn't make sense to keep reading — this text is not for you. If you are interested, then a logical question has to be arisen. How is it possible for people to move from the current stage, the 7th Day, into the 8th Day of Creation? Maybe God will reveal Himself to all mankind or send His messenger, who will lead the people to a “promising future”. Maybe the spacecraft will land and highly intellectual alien race will teach humanity how to live. Maybe other grandiose miracles will happen? The answer is different and it may seem confusing. Transition of people from the Seventh Day to Eighth Day is performed by foot. Of course, not only by foot. People have to make every effort using the all baggage that God has given us. It refers both to individuals and mankind as a whole. But it is just a physical transition. Passing through the Gates. The Bible describes a very similar situation. About 3300 years ago, a small nation to their own surprise and to surprise of surrounding nations found themselves in a different reality. Before that, these people were slaves to the Egyptians. But just in a year the situation had changed radically. One day they left Egypt in a big hurry, taking with them children and old people, and in a literal sense crossed the sea, that had dried up suddenly. After less than a couple of months they were at Mount Sinai and heard God speak. From that moment a brand new history, completely dissimilar to everything that was formerly known, began. These events are described in detail in the Book of Shmot (in Christian translations — the Book of Exodus). Unlike that story, the transition of mankind from the Seventh Day into the Eighth Day is a more global and large-scale phenomenon. But the main principle is similar: people can do it only themselves, of their own free will. For this purpose, they need to go through the Transfer Gates from the 7th Day to the 8th Day. the Gates of Transition from the 7th Day to the 8th Day of Creation is essentially a complex of Seven laboratories. Another name for this laboratory system is the Mishkan, or portable Temple (known as the Tabernacle of the Covenant). This complex is similar to the Mishkan, which is described in the Book of Shmot (in Christian editions of the Bible — the Book of Exodus) and built in accordance with the structure presented in the Torah. We use the modern term “laboratory”, as it describes faithfully what is happening in the Gates of Transition. Namely, in the laboratories people, passing from the 7th Day to the 8th Day, undergo a comprehensive diagnosis, revealing the essence and peculiarities of each particular person and enabling the person to take a correct and rightful place in the reality of the 8th Day. Fortunately for us, all the elements of the new Tabernacle, all 7 Laboratories correspond exactly to the elements of the Mishkan described in the Torah (Bible). The images of these elements from the Book Shmot (Exodus) can be considered as “symbols of laboratories”. Moreover, the functions of every laboratory correspond to the functions of certain element of the Mishkan in the Torah. So, the Mishkan we are talking about is 7 Gates, or 7 Laboratories, through which every person should pass to enter the 8th Day. Let's describe these laboratories in order. “The Tabernacle's entrance” laboratory. This is the entrance to the entire laboratory system. Hebrew term corresponding to the function of these Gates: כניסה (“entrance”). “The Menorah” (lampstand) laboratory. Here it is considered the connection to 7 levels of Universe and 3 levels of being. Hebrew term corresponding to the function of these Gates: חיבור (“connection”). “The washbasin” laboratory. Checking the man's purity and his frequency settings. Hebrew term corresponding to the function of these Gates: ניקוי (“cleaning”). “The table for showbread” laboratory. Analysis of the man's creativity and his ability to contact. Hebrew term corresponding to the function of these Gates: קשר (“relationship”, “communication”). “The altar of burnt offering” laboratory (copper). Energy and information, energy and information exchange. Hebrew term corresponding to the function of these Gates: ביטוי (“expression”). “The altar of the incense” laboratory (gold). The process of switching and decompaction. Hebrew term corresponding to the function of these Gates: כיוון (“the direction toward a goal”). “The Ark of the Covenant” laboratory. 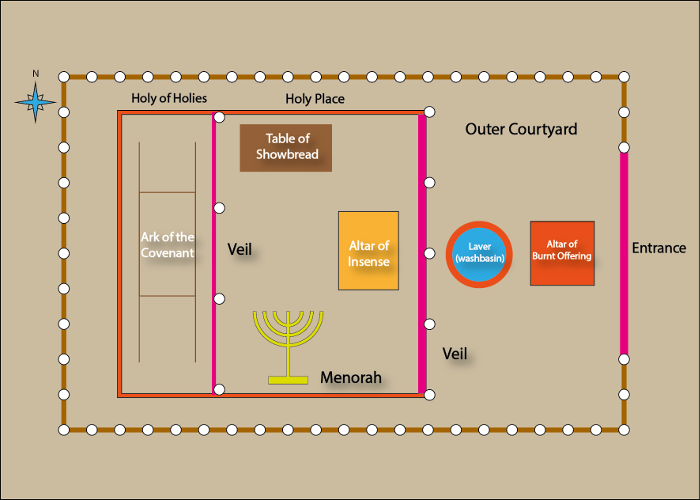 “Residence” of God, Holy of Holies: the final transition. Hebrew term corresponding to the function of these Gates: יציאה (“exit”, “Exodus”). The order of the laboratories is not casual, but within the framework of this article we have no a possibility to discuss it. The first gates are the entrance. Everyone, who sees them, can enter them. We need hardly explain that people, who are not ready for the 8th Day, just will not see either Gates or Laboratories — the question of transition doesn't arise for them. The main purpose of the 1st laboratory “The Tabernacle’s entrance” is to perform two types of diagnostics. The first diagnostic can be conditionally labeled “7/8”. In other words, does man consciously want to transfer into another reality? Is he ready to enter Day 8? May be Day 7 suits him just fine. The second diagnostic deals with the selection of the flow of time. It may be labeled “8/3”. Put it otherwise, how does man think, what’s his dominant? Yes, he did choose the 8th Day, but which one out of 3 flows of time is his? In this laboratory, one of 3 color modules is assigned to every Passing man: red for Rotham, yellow for Kim, blue for Datan. The 2nd laboratory named “The Menorah” (seven-lamp lampstand) is checking and diagnosing the man’s connection to 7 levels of creation and 3 basics of being. Hereinafter, unfortunately, we can not consider these concepts in detail; they are discussed in the full Course. A pair of symmetric levels 7 and 1: what ideas will a man implement? A pair of symmetric levels 6 and 2: what does he think of and what does he feel? A pair of symmetric levels 5 and 3: how does a man formulate his tasks and what methods does he choose? A central level 4: which contacts are inherent? Everything becomes materialized: every idea, every thought to be required within the Creator's plan is realized in the material world. Everything evolves: any phenomenon in this world is a dynamic process. Everything is designed, there is no coincidence and nothing happens by accident: everything has a purpose. “The Menorah” laboratory diagnoses every Passing man: which part dominates, what lacks? Is there a balance? On the 8th Day the Washbasin symbolizes the purity, i.e., willingness to work. The 3rd laboratory “The washbasin” tests the level of purity, as well as settings, the vibration, the frequencies, wave characteristics etc. It is necessary to determine the man's suitability and readiness to work. On the 8th Day the Table of showbread symbolizes the creative process. The bread is a symbol of human’s hands creation. The 4th laboratory “The table of showbread” analyzes the human capacity for creative contact with Man, World and God. It is considered the capacity for creativity and contacts in all spheres of activity in accordance with the structure of the tribes of Israel. On the 8th Day the Altar of burnt offering symbolizes the energy and information exchange process. The 5th laboratory “The altar of burnt offering” tracks the energy and informational processes. The laboratory diagnoses the possibilities of energy exchange: from physical to metaphysical. In particular, it is carried out the analysis and quantitative evaluation of 7 energy types which are inherent in the individual and largely determine his capabilities in personal and social activities. On the 8th Day the Altar of the incense symbolizes the switching and decompaction process. This is a very important process necessary for transition into a new reality. Very roughly, it can be determined as the human willingness to fully trust God, to renounce material incentives which hinder personal development and “attach” to everyday life and care of this world, and to switch to a new way of thinking. The 6th laboratory “The altar of the incense” analyses the ability of the Passing man to switch and his density levels, conductivity degrees, etc. This level is directly preceding the Ark of the Covenant, the Holy of Holies. 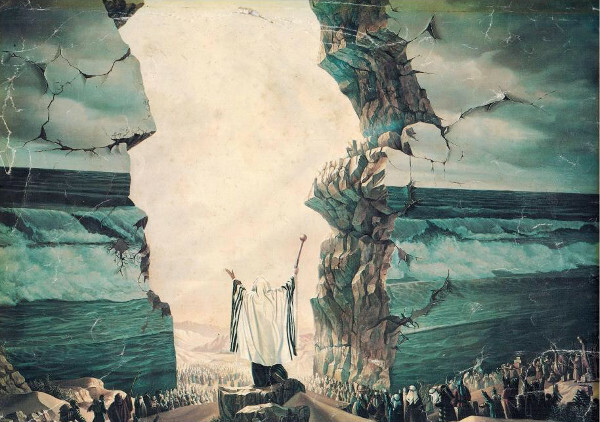 On the 8th Day the Ark of the Covenant symbolizes the act of transition. The 7th laboratory “the Ark of the Covenant” is engaged in the transition into another reality. In this laboratory, in the Holy of Holies, the process which is called in many modern religions as the “Last Judgment” takes place. After that the person either knows his destination and is actually on the 8th Day of Creation, or he is sent for re-testing and repeated diagnosis. In modern terms — for “re-examination”. Let's repeat once again the system of Gates as a path for a man who is transiting to the 8th Day of Creation. “The Tabernacle's entrance” laboratory. The man entered the Gates — and didn't come back. “The Menorah” (lampstand) laboratory. The man saw the light, felt — and “turned on”. “The washbasin” laboratory. The man washed, cleansed himself — and became ready. “The table for showbread” laboratory. The man tasted, got in touch — and took decision. “The altar of burnt offering” laboratory (copper). The man said, expressed his intention — and gave away, or released: his past, his problems, all his “tails”. “The altar of the incense” laboratory (gold). The man smelled, had a decompaction — and switched. “The Ark of the Covenant” laboratory. The man heard, received his purpose — and moved to the 8th Day. Finishing this article, we give some specifics. The 8th Day of Creation isn’t something distant and it’s not even a close future. It is a present. The last stage of humanity’s transfer into the 8th Day has already started. The first task of the starting 8th Day is to establish the Gates, more precisely, the 7 Gates of transition. This means that it is necessary to staff all 7 laboratories described above. The employees of the laboratories are not just the people but there are also other powers that are involved in this project. However, the laboratories can’t operate without real people that are willing to take the responsibility and take the position. The transition into the 8th Day will become possible when all Seven Gates, i.e. 7 laboratories, will be ready to operate. The time is limited! It's not that much time. But God gave much less time for Jews for the exile from Egypt. May God grant us strength and wisdom to meet the necessary deadline this time and make possible the process of humanity’s transition into the 8th Day of Creation. The Great Revelation in the Strugatsky brothers' novel is the beginning of the civilization of Ludens, people who have moved to a brand new stage of development. The Wizard is quoting here the poem by W. Busch “Plisch und Plum” in the translation of D. Kharms.